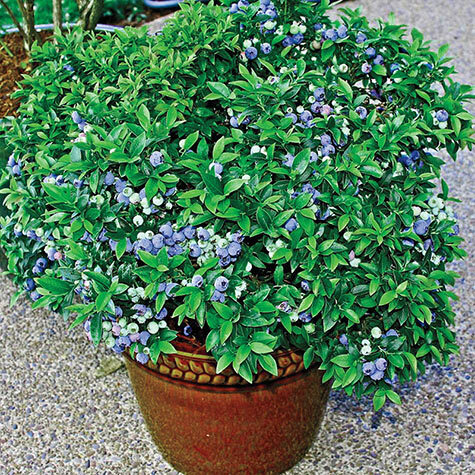 Blueberry Dwarf Tophat | Gurney's Seed & Nursery Co. Productive choice for container growing. Just 1 1/2 ft. tall, these little beauties have a lovely compact mounded shape which is loaded with white blossoms in the spring and red foliage in the fall. In late Aug. you'll be rewarded with hundreds of full-size, firm, flavorful, dusky blue fruit with wild blueberry flavor. No pollinator needed. Zones 3-7. Height: 1 - 2 feet. Spread: 1 - 2 feet. Yield: Approximately 2 - 5 pounds at maturity with proper care. Foliage: Glossy, dark blue-green simple elliptical 1-2" long and half as wide. Crimson foliage in the Fall. Fruit: Small, firm, sweet, bright light-blue berries. Form: Deciduous oval to rounded bush. Flower Form: Urn shaped 1/3" borne in loose axillary clusters. Pruning: None necessary. Remove dead wood anytime. 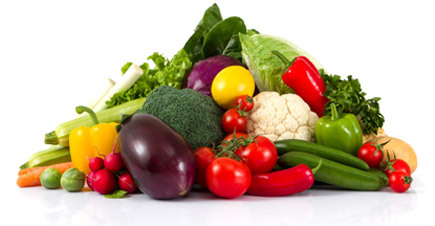 Comments: Productive choice for container growing. Just 1 1/2 ft. tall, these little beauties have a lovely compact mounded shape which is loaded with white blossoms in the spring and red foliage in the fall. In late Aug. you'll be rewarded with hundreds of full-size, firm, flavorful, dusky blue fruit with wild blueberry flavor. No pollinator needed.